Collection. Standard Edition also available. Cannot play multiplayer with Steam players. Collection includes all the DLC. Digital Deluxe Edition includes only the Reinforcement Pack DLC. Since XCOM 2 has multiple keybinding subsets, look for the section called [XComGame.XComTacticalInput] for the "Tactical Shortcuts" or [XComGame.XComHeadquartersInput] for the " Avenger Shortcuts". These sections contain the keybindings and their corresponding commands for both keyboard and controller. Change the name of the keybinding to the desired key. Custom characters and pools are not saved to the Steam Cloud. Needs fix for Vert- FOV; see Multi-monitor. Go to the [Engine.LocalPlayer] section. Voice, sound effects, music, and VOIP. There is no option and no known workaround to disable that feature. This game uses Unreal-Engine 3.5 which renders most workarounds non-working. 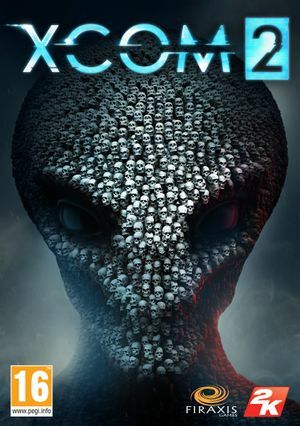 See XCOM 2 Mod Launcher. If you have MSI Afterburner (and RTSS running with the overlay) your game might not launch. Simply close the program and it should launch. Your save file successfully loads but crashes the game when you perform an action (shoot, overwatch, etc.). If you are able to load a save from a different mission and perform actions without crashing, then your aforementioned save may be partially corrupted. Once corrupted, any save file made thereafter contains the glitch causing the game to crash. Try older saves and continue from there. 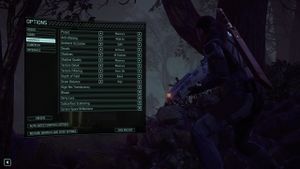 Creating a unique save at the beginning of a mission can help prevent significant loss of progression. Intel GPUs are not officially supported. Nvidia requires 355.63 or newer drivers. 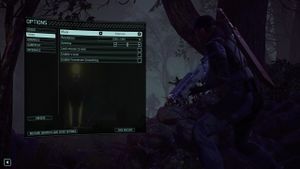 ↑ 1.0 1.1 Feral Support | XCOM 2 FAQs | Can Windows, Mac and Linux users play multiplayer matches together?